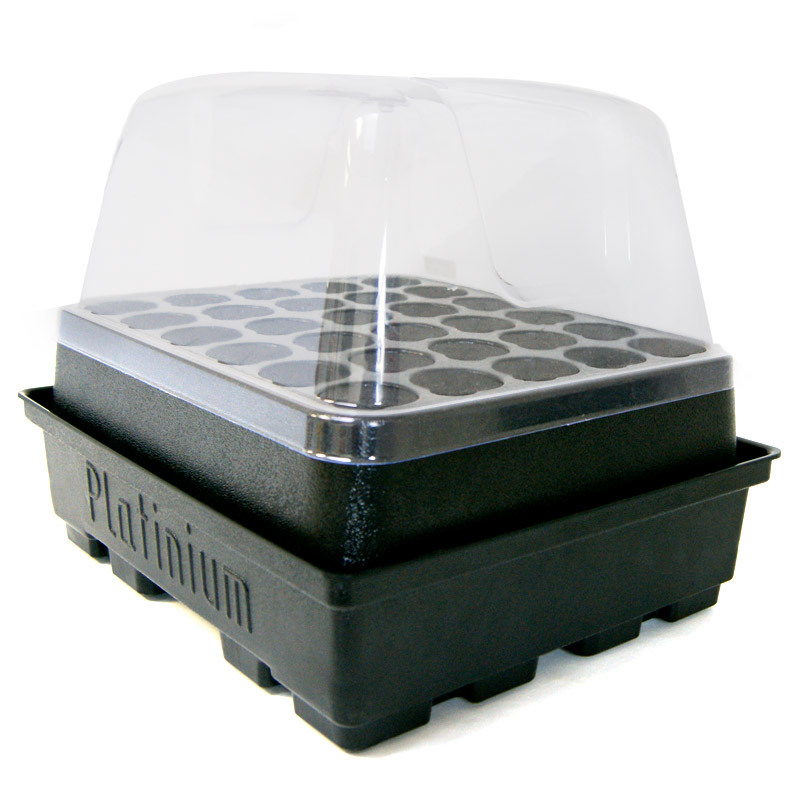 Platinium Hydroponics introduces you to the system aeroponic for 30 cuttings in the DWC CLONER 30 which is a miniature version of the Super Clone. The growth of the plants will be efficient, fast, and strong roots with the super-oxygenation of the nutrient solution constantly oxygenated by the bubbler system innovative. In effect a tube bubbler hose is installed in the bottom of the tank to oxygenate the nutrient solution continuously. Supplied in kit to assemble yourself : about 5 minutes. 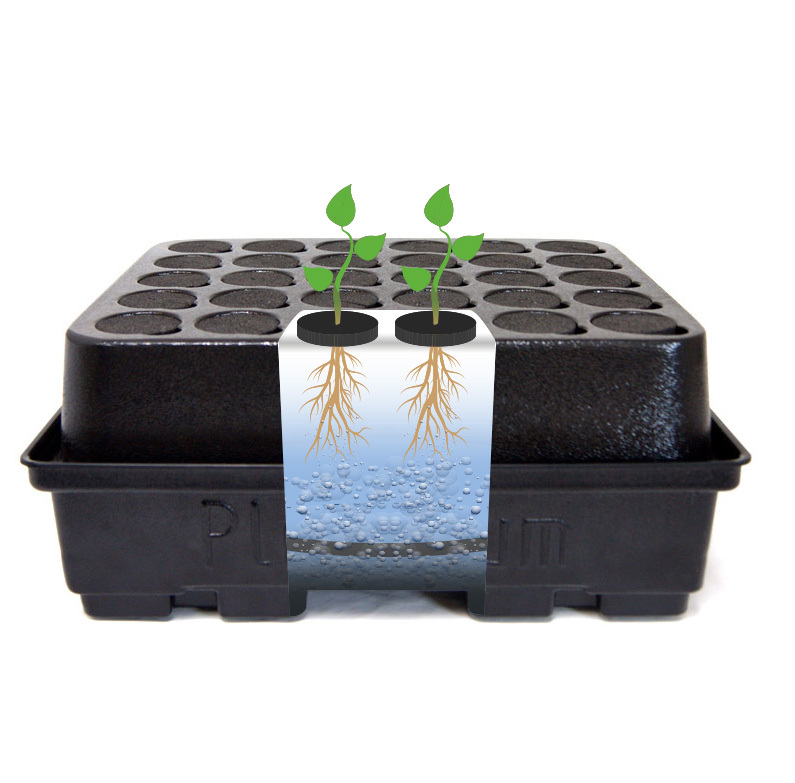 The tank, smaller, less top allows make the roots of your cuttings directly in contact with the nutrient solution in which an air pump is going to come oxygenate the solution. With the dome take better control of the humidity inside. Platinum is still innovating with its line Modular : switch system aeroponic for cloners to the system aeroponic for mature plants. Just change the TOP. The tank remains the same. Innovation "made in France" with Platinium hydroponics. Platinium Hydroponics offers a wide range of culture systems that can be modulated at will, allowing a range of almost 60 different systems ! Their canadian-made, as well as the materials used gives them a very high quality for use in indoor growing.